What Happens When a Debt is Sent to a Collector. So you miss a monthly payment and swear you’ll get caught up next month. But then life happens and you miss a few more payments. Now you’re worried that the debt will get sent to a collector. Is there anything you can do to avoid collections? And if it ends up going to a collector, what can you expect? Fact: Collectors recouped almost $54.9 billion in missed debt payments in 2010 alone. This information below can help you understand the collection process so you can make the right decisions a you move forward. If your debt is already in collections and you think you may be facing collector harassment, click here to ask for help . Countdown to collection – when does a debt get charged off? One missed payment doesn’t mean your debt gets sent to a collector. Even with two or three missed payments, you still have time to catch up before the creditor writes your account off as a bad debt. The creditor moves the account to a “charge off” status. This means your account is frozen and you won’t be able to make any more purchases. At the same time, the creditor sends the debt to a collector. This can be an in-house collections department or an outside third-party party collector. 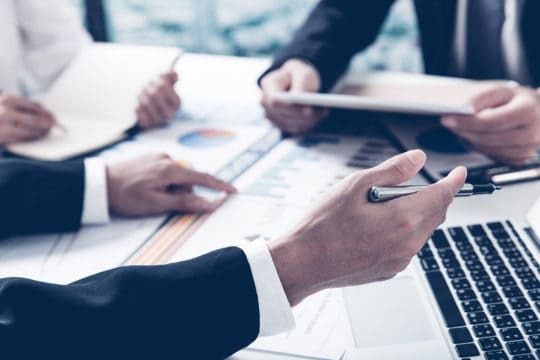 Once the debt is sent to a collector (in-house or third-party), any conversation between you and the collector must adhere to the guidelines of the FDCPA. It’s good to note that if you’re speaking with someone from the credit card company and it’s been a while since you made a payment, ask if you’re talking to the regular account payment department or the collections department – it matters! 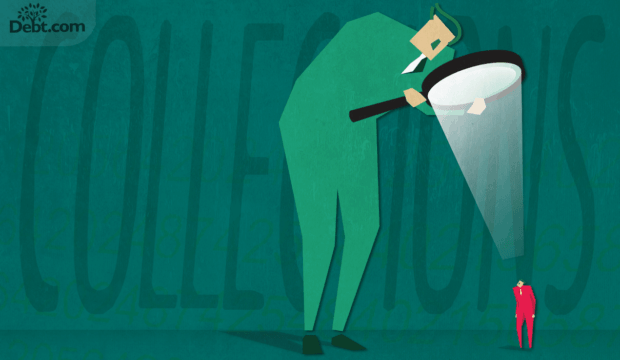 I’m in collections… now what? Once the debt is with a collector, their first task is to get in touch with you and confirm that you are you – i.e. that they have the correct contact information and you are the holder of that particular debt. This is where the proverbial game of hide and seek usually happens. You dodge the collector and they do everything within their power to hunt you down and get you on the phone for verification. It’s important to note that collectors are within their right to do certain things you may not really like. They can call your office to talk to a boss or your HR department to verify your identity. They can also call you at work until you actually talk to them and tell them to stop. They can call friends, family, and neighbors to verify your identity. What they can’t do is tell whoever they talk to anything about your debt. They can only ask the person to confirm that you are you. No details about the amount of debt, how far past due it is or who you owe. Still, even just that minimal level of contact for identity confirmation is going to be at least a little uncomfortable for you. If and when they get you on the phone and confirm your identity and contact info, they will send you a written “validation notice” within five days stating the original creditor, the amount owed and how to proceed. Now comes more calls to put the pressure on so they can get you to pay the debt. Collectors can be pretty forceful and stay within the letter of the law. But they can’t make threats, curse you out, use abusive language, lie, tell you that you’re going to jail, or say they’re going take your home or property. All of this is known as collector harassment, and you have a right to fight back against these kinds of practices. If you talk to the collector and agree to pay back the debt, negotiate! You may be able to get them to settle the debt for less than you owe and/or you can get them to agree to remove the collections account from your credit report if you pay. If a debt collector does not agree to remove a paid collections account from your credit report, how long will that account remain on your report as a negative mark n your credit? Even if a collections account is fully paid, it still counts as a negative mark on your credit for an additional 7 years after the final payoff. You can talk to them and tell them you don’t intend to pay. If you tell a collector you will not be paying a debt and to stop contacting you, they must adhere to that request. They may seek action in court (i.e. sue you for the debt). You can at least attempt to hide until the statute of limitations expires on the debt. If you actually manage to hide for as many years as this takes, then the collector can no longer seek payment on the debt – even through the courts. Fact: The statute of limitations on debt collection is 15 years. After 15 years of no contact, a debt can no longer be legally collected. Of course, hiding for a full 15 years isn’t exactly easy – if it were, everyone with a debt in collections would do it. And you’re really risking getting sued. Yes, the collector has to call to verify your identity to begin their process. But failing that, there’s always the option of just filing a suit in court and letting the courts find you. That’s bad news. Once you get sued, you’ll be on the hook for the debt and have the hassle and expense of going through court. What’s more, once you get into the court system, your property is at risk of being liquidated to pay off your debt. A collector can’t take your property to pay off a debt – unless there’s a court order. Article last modified on April 24, 2019. Published by Debt.com, LLC . Mobile users may also access the AMP Version: How Debt Collection Works - AMP. Can a Debt Collector Charge Interest? It Depends.